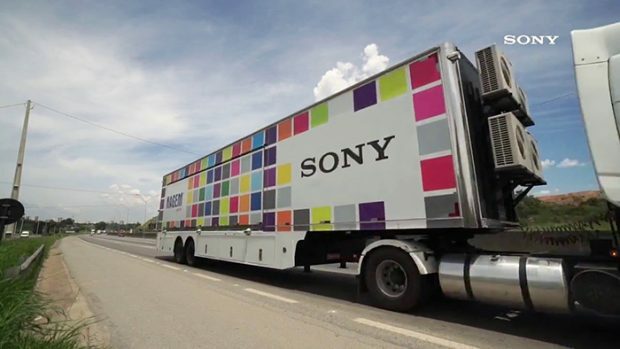 Sony Truck Carrying all of Sony’s NAB Gears were Stolen ! According to CR, on the way to NAB Show 2017 next week in Las Vegas, a Sony truck carrying all of Sony gears were stolen. Additionally, some third party manufacturers’ gears on the truck which was to be used alongside Sony’s gears in their booth were also stolen. Sony is rumored to announce plenty of new products next week, such as Sony Alpha a9, Sony Alpha a7S III, a7 III, RX1R III and FE 16-35mm f/2.8 GM lens, FE 100-400mm G lens. Stay tuned for more info. Rumors: Sony FE 20mm f/2.8 Pancake Lens Coming this Week ? Next Next post: Live Stream Video: Sony will Announce First Real PRO Camera at 11am NYC !